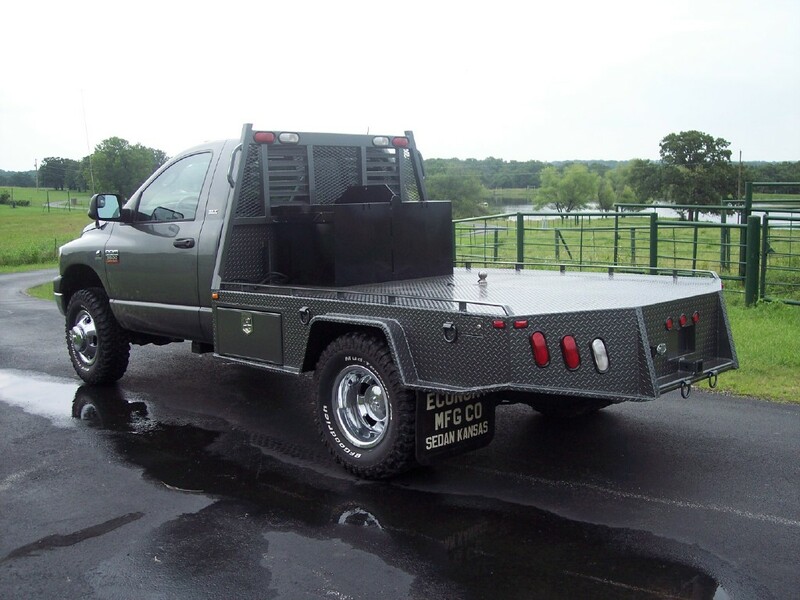 Custom hauler bed packages, painted and installed on your truck, built with the features you ask for. Economy Manufacturing is a true custom shop, which means you do not have to settle for what is in a catalog! 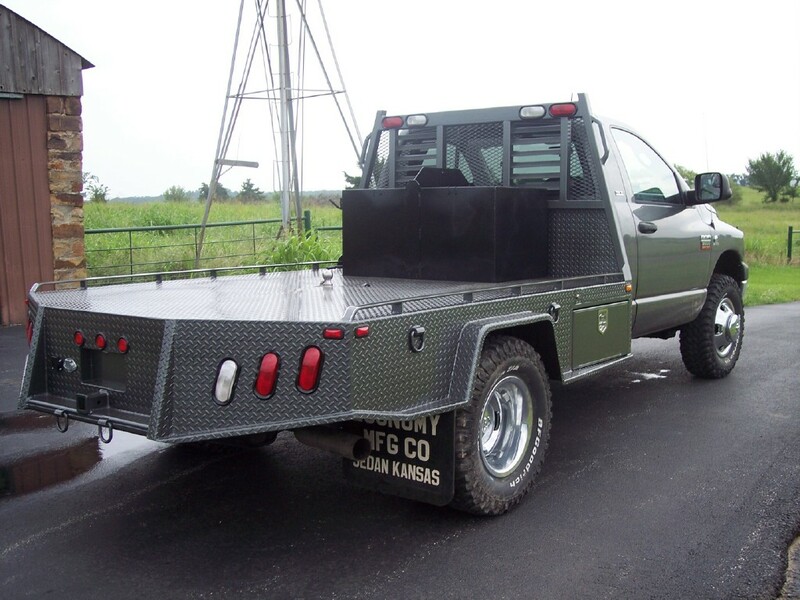 Let us configure the skirted hauler flatbed of your dreams. Pick the gauge of the steel, diamond plate or smooth, how many and what size toolboxes, you get the idea. An Economy Hauler bed is truly built to order, for your unique trailer pulling needs. 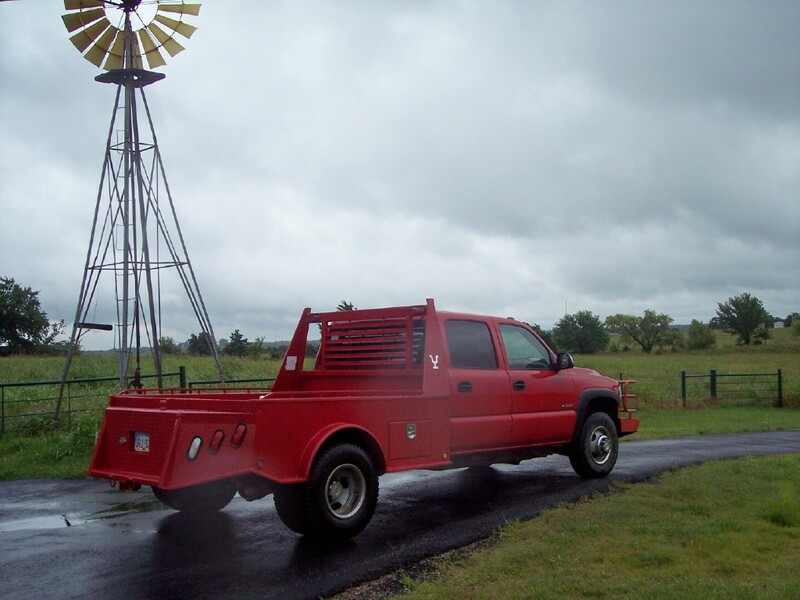 Add winch capability for the oilfield, or bale spikes for your cattle operation, just ask! Economy builds the features you want in YOUR bed. Have it your way at Economy Manufacturing, since 1934! The Economy Flat Bed has been manufactured in Sedan Kansas since 1934. About every size and configuration you can dream up has been built right here in Sedan, Kansas over the years. The Economy difference is that we simply build what you want and need, not a cookie cutter production model. Whether you call it a platform bed, or flatbed, you get to pick how your bed is configured. Custom headache racks, diamond plate or smooth steel, how many and what size tool boxes are just a few of the choices that YOU get to make. Your Economy flat bed can be color matched to your new truck if you choose. Many tough Economy beds have been on two or three trucks. It pays to buy a heavy built flatbed, the way you want it. You will be proud to move it to your next new truck, too!